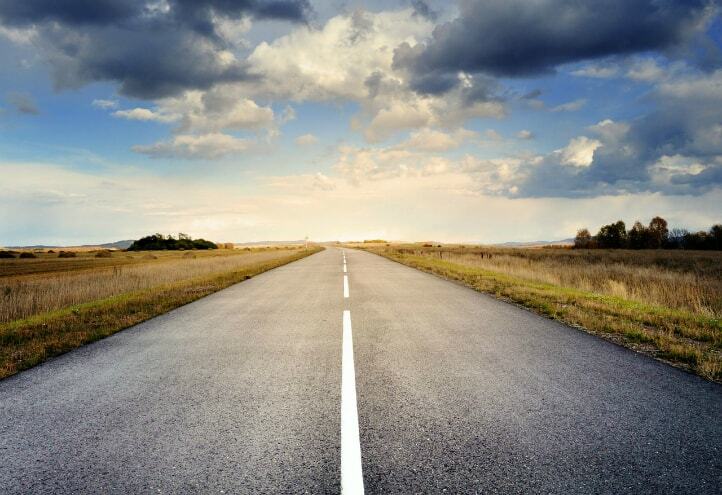 Planning a road trip this summer? Be prepared and bring along plenty of audiobooks! 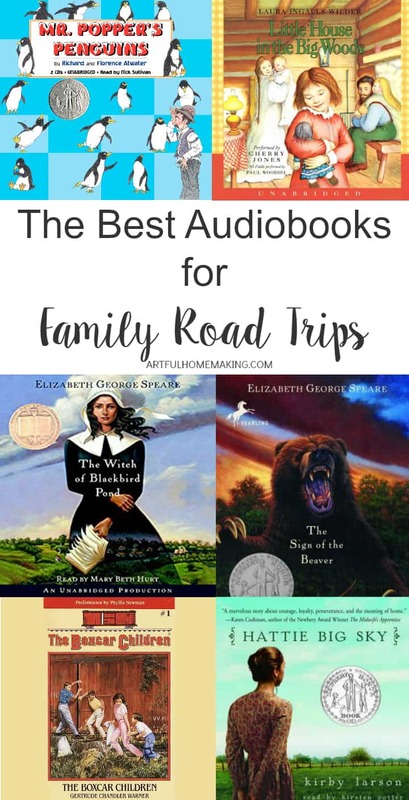 Check out this list of best audiobooks for family road trips. If you’ve ever gone on a long road trip with your family, halfway through the trip you might have wondered what you were thinking. As everyone gets restless and boredom sets in, the tension in the vehicle begins to mount. The mood goes from one of excitement to one of restlessness, and then, finally, to one of misery. Have you ever had that experience? Please tell me I’m not the only one! Last year we took a looooong road trip to Florida. It was very long. It was 17 hours in a minivan with 5 kids, 2 adults, tons of luggage, and barely room to move at all. Did I mention it took forever to get there? Thankfully, my husband had the genius idea to plan ahead and purchase some audiobooks and audio dramas for the trip. We also brought along a couple of movies the kids could watch, but we preferred the audiobooks since it was something we could all enjoy. Audiobooks allow the whole family to share in the story, and they also allow children to continue to enjoy the scenery we’re driving through, rather than staring at a screen. Once we realized how powerful audiobooks could be for road trips, we started bringing one along pretty much anytime we knew we’d be in the vehicle for an hour or so. There are so many audiobooks out there to choose from, and I’ve only included a few classics in this post. This post contains affiliate links. See my disclosures here. Our whole family loved this book! Even though we’d been hearing about this story for years, we still hadn’t gotten around to actually reading it yet. Listening to the audiobook was an enjoyable way to share the story together as a family. I still remember listening to this book this past fall as we drove to the apple orchard (a couple hours from where we live) and then finishing it up the following month as we drove to the pumpkin patch (also a couple hours’ drive). 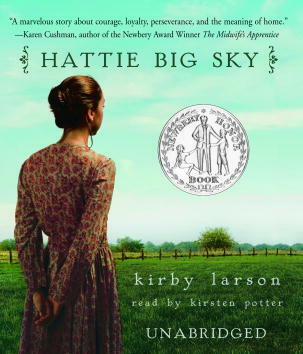 It had been several years since I read this book to my oldest son during our school read aloud time, and the rest of the family hadn’t heard it. This was another story the whole family enjoyed. You can’t go wrong with The Little House books. My daughter and I listened to this story as I drove her to and from her orthodontist appointments last year (2 hours both ways!). I had never even heard of this book before, but I loved the story, and I thought the reader did an excellent job. So, those are the best audiobooks for family road trips that I know of at this point. Next time I’ll share our favorite audio dramas, as those have also been a staple of our road trips. But now I’d love to know if you have any favorite audiobooks we could add to our collection! Let me know the titles of your favorites in the comments! My family and I have spent many an hour in the car driving across the country and we enjoyed the Harry Potter books. The books are long enough that one book would last for most of the trip. Did you know that some libraries carry Audio Books and they can be checked out just like regular books? I don’t know if Cracker Barrel still does their rent an Audio book thing or not but a few years ago they had a program where you would rent the audio story and could return it to any other Cracker Barrel and exchange it for a new one. Hope you have good travels this summer. Thanks for sharing the tip about getting audio books at the library, Maureen! We have done that a few times, and it’s so helpful. I had never heard of the Cracker Barrel program—what a great idea! This was a great list. We are taking a long trip to Virginia and do go through all of the various phases. A little too quickly. I wrote these down to purchase and try for our trip. Thanks for the suggestions! So glad it was helpful, Michelle! Have fun on your trip! There are so many great suggestions here and in the comments, I need to save this post. Thank you for sharing with us at #LiveLifeWell. My kids LOVE audio books and we go through a lot and then repeat the ones we love. Thanks so much for the suggestions, Leah! The Penderwicks series have been our favorites to listen to, hands down. We also loved Matilda, narrated by Kate Winslet. Miracles on Maple Hill was also very good. Thank you so much for sharing, Jennifer! These are great! We do love the Boxcar Children and we have enjoyed listening to most of the Magic Tree house books on cd too. My boys are older now and we’ve listened to all of Rick Riordan’s audiobooks while in the car. Pinned. You have some of the classics listed here! I love it. My kids read all these when they were in school and my all time favorite – the Box Car Children! We are neighbors over at #LiveLifeWell today. PS.. if you are looking for another place to link to on Thursday’s I would love if you would consider joining my linkup #TuneInThursday – it opens Thursday 3am PST and runs through Sunday night. you can find it at debbiekitterman.com/blog (Please feel free to delete the link if you think it inappropriate). One of the audio dramas we listened to on our road trip last summer was The Dragon and the Raven from Heirloom Audio. We loved it! I’m hoping we can get some more of those in the future. Thanks for sharing, Nikki! We LOVE listening to audiobooks when we travel, too. Not only does it pass the time well, but it builds family memories. I compiled a list in a post as well, but hesitate to leave it here for fear of seeming like I just stopped by to link-drop. 🙂 Feel free to stop over and find it if you’re looking for more ideas. Pinning this! I’m so glad you stopped by, Susan! I’ll definitely have to check out your list! What a great way to pass the time on a roadtrip! My husband and I enjoy adult books on trips, too! You have some great ones here. I remember listening to Little House on the Prairie as we were driving through Kansas.Being near the location brought it alive. Farmer Boy is fun to listen to. Not when you are hungry, though, because so much food is mentioned. Hank the Cowdog is one of our favorite series. Science Fair by Dave Berry is what my son is currently listening to for the second time this week. Oh, yes, the food descriptions in Farmer Boy are plentiful! 🙂 My boys really enjoyed reading some of the Hank the Cowdog books, but we haven’t listened to the audio books yet. Thanks for your suggestions!